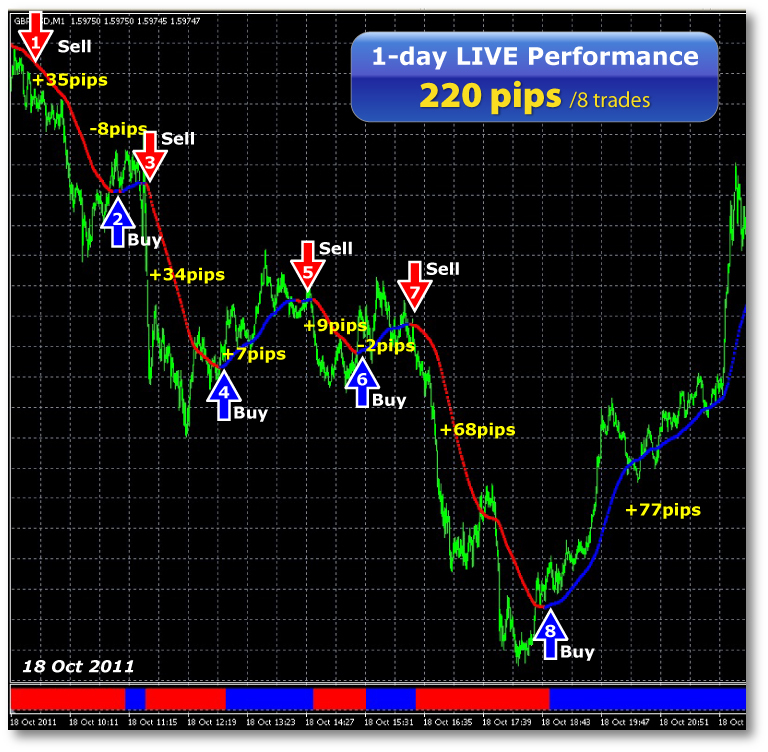 Scalping is the main method of investment for Forex day traders. Scalping involves trading whichever set of currency pairs on very short closing times; the method becomes effective when applied on a larger scale. To be able to ‘scalp’ effectively, the trader must be able to perform a proficient technical analysis or some sort of strategy that would allow him to predict the market’s upcoming trends. Also, it is useful to spot market signals and then act accordingly. One of the most used signals is to join the multitude if a lot of shares are being bought or sold in a steady manner; in other words, the trader follows the crowd as they invest in a certain asset. Scalping can be done either manually or using software that can be programmed to spot certain signals and interpret them so it decides whether to invest or not; the variant of choice is the manual method since it allows traders to gauge in a direct manner how the market is fluctuating and how are currency pairs interacting with each other. Because Forex is a 24-hour market, there’s always so much data that traders can interpret before they make their investment; this is why trading tools such as technical analysis, spotting trends, using charts and indicators help immensely when trading Forex. Scalping is just one of many ‘methods’ of procedure; it’s based on the premise that ‘the audience is usually right’, so when the trader follows the crowd by buying a certain currency pair, it may have more chances of paying off. But scalping also involves doing these little investments on a daily basis, on the largest amount of currency pairs possible. This is because it will help maximize profits to cover the losses; scalping involves losing money in certain trades, and just like any other method of investment, it isn’t a sure-fire way to earn large sums of money. Scalping is as useful as the trader can manage to apply it in a correct manner. Technical analysis has to do with reviewing each country’s political, social and economical situation so variations in the value of their currency can be understood more thoroughly. Social unrest, economical crisis and political issues tend to be associated with a loss in the currency’s value; on the other part, growth, economical progress and conscience usually are indicators of a raise of value in that country’s currency. Technical analysis takes in account every possible factor that may affect the price of the currency. Besides technical analysis, scalping works more efficiently if paired with trend-spotting. To spot trends is one of the most helpful set of skills the trader can develop on their investing career. Trends tend to appear within certain ranges that won’t allow them to take complete control of the asset; it is very uncommon for a currency pair to go all the way in one direction without changing its course over an extended period of time. Trend-spotting and technical analysis are very deep techniques that should be researched, since there is a large amount of educational material available.